Through the walkathon which was held to help our unfortunate neighbors and to strengthen family unity, eight children with heart disease and parentless or single parent households received donations (equivalent to about 60,000 USD). 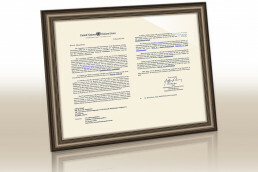 Over 30 organizations sponsored the walkathon including Gwangju Metropolitan Government and leading media organizations. 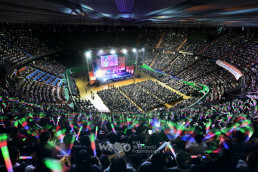 It was a great success in the enthusiastic response from 8,000 participants including lawmakers and public figures. Lawmakers Jeon Gap-gil and Kim Gyeong-cheon and other guests stayed to the last of the walkathon, showing their interest in the event. The walkathon was favorably reviewed as an event that finished the “Month of Family, May,” being attended by people of every class. The event started with a fanfare of a drum and fife band consisting of 33 police officials from Jeonnam Provincial Police Agency. 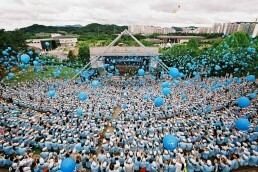 The event was made up of three parts: At the 1st part, about 8,000 participants walked 2.5 kilometers all over Jungoe Park, enjoying several events along the walkathon path; at the 2nd part, a donation delivery ceremony was held for the beneficiary children; at the 3rd part, various performances were presented such as Korean classical music and pop songs. 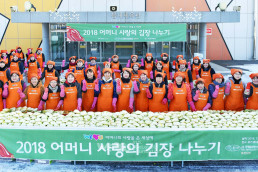 Lawmaker Jeon Gap-gil, who completed the course, was surprised to see 8,000 people gathering, and said, “It is unique in history of Gwangju city.” Lawmaker Kim Gyeong-cheon said, “It is natural that there are respectable members under a respectable Chairwoman,” and held the Chairwoman’s hand firm. Kim Cha-seok, one of the beneficiary children’s parents, attended the walkathon with his son Se-yun (5) who was suffering from heart disease. He was overwhelmed, saying, “I don’t know if I deserve to receive this great love. I’ve experienced totally different world.” The beneficiaries and all participants flew 4,000 blue balloons containing flower seeds in them high to the sky, wishing for a world full of love. In addition, various mass media including Gwangju MBC, Gwangju KBS and Gwangju Ilbo, which were also sponsoring the walkathon, competitively gathered data and news about the walkathon. Local broadcasting station, Gwangju KBC, especially praised the warmheartness of the members, reporting the walkathon in detail in their live program. As if showing their enthusiasm, over 8,000 members, more than double as expected, attended the walkathon , at which the guests and city officials were surprised. 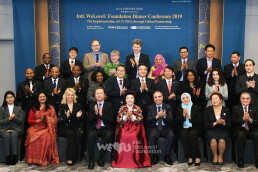 Just as Chairwoman Zahng Gil-jah told the members to be the “ambassadors who deliver joy and hope to our families, neighbors and society,” we are sure that the light of love that started from Gwangju (just as its city name means “light town”) will become a big light of hope lighting our neighbors and the whole world.